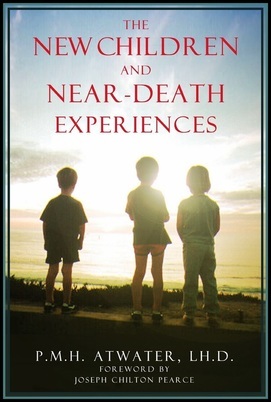 "The Gems of Life-After-Death Research"
Support for the concept of Life-After-Death, goes hand-in-hand with the concept of Post-Materialist Idealism. and which clearly indicates a Uni-verse of true unity, bonded through Entanglement and other Quantum Laws. Survival demands the primacy of consciousness over matter--- of immaterial mind over physical brain. including the main pioneers in current Post-Materialist research. is often called 'Rogue Phenomenon.' Materialist science generally overlooks it as an insignificant glitch. The actual strength of rogue phenomenon, however, lies in the total sum of all its aspects taken as a whole. the idea being, that conclusive evidence can only be seen within the context of the whole, unbroken data. Scientific understanding is revealed by observing the Integrated Pattern, then asking, "why?" to conclusively establish the Validity of its existence. The 'White Crow' principle was hatched. This conclusion is arrived at with ‘little assurance’, but ‘some justification.’ And the data place further limits on what we can reasonably infer from them: only that some people may survive death, for a limited time. The plausibility of the survival of some aspect of personal consciousness after the physical destruction of the body, depends to a very great extent on the solution to the so called mind/ body or mind/brain problem. However, it is essential to realize that the findings of neural science only point to a correlation between brain and mind activity. And correlation does not necessarily imply causation. There exists a strong correlation between amount of sun screen lotions consumed and the number of deaths by drowning. This does not imply that these lotions cause people to drown, does it? That there exists a close relationship between mind and brain is without doubt. The crucial question concerns the nature of this relationship, and more generally the ultimate nature of consciousness. This is, by almost universal admission, possibly the most difficult problem confronting both science and philosophy.